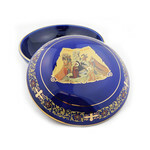 The Ceramic Icon Collection is inspired by the classical Greek pottery tradition. 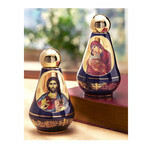 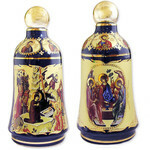 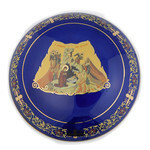 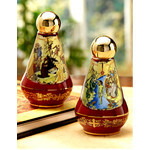 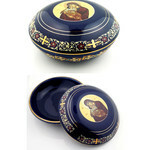 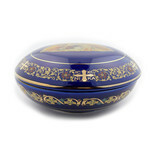 Each ceramic piece is enhanced with Byzantine icons decorated with 24kt gold. 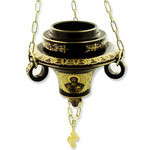 Each item is religiously functional and decorated in the lavish Byzantine tradition of the Christian East. 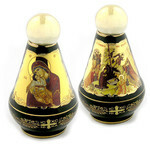 They are found in fine gift shops and monasteries throughout Greece and the Holy Mountain. 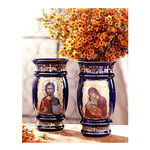 Alexandra International is delighted to introduce this beautiful ceramic line to the States. 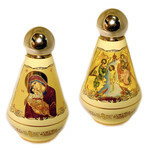 Our stock is limited, so place your orders early for the holiday season. 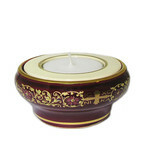 We expect to have a full inventory in October; orders will be filled as they are received. 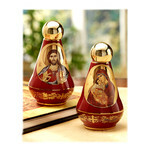 ANA90CV HOLY WATER CONTAINER 4"x2 1/2"
ANA90RNB HOLY WATER CONTAINER 4"x2 1/2"